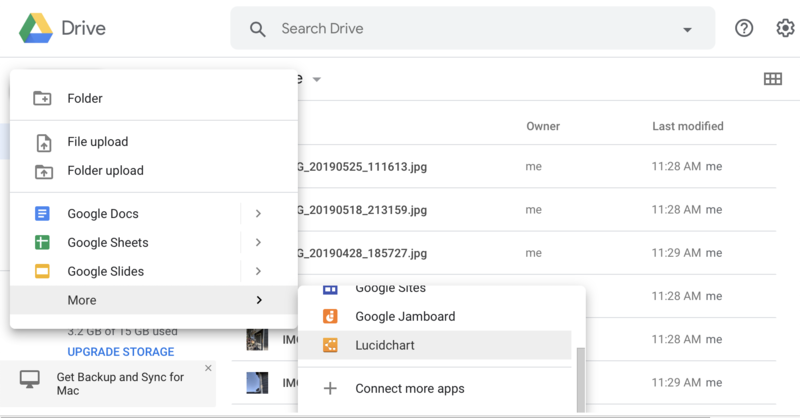 Drive-enabled applications can leverage Google Drive to help users create, organize, discover, and share content. You need to integrate your app with the Drive UI to take advantage of these features. You will integrate your app with the Drive Create button, integrate the "open with" contextual menu item, and integrate the Google picker dialog. Your app can appear along with other apps in the Drive UI, letting users choose to create or open documents with your app. Users can open certain file types with a certain Drive app by default, provided that the app has registered the correct MIME type or file extension for default access. For more information, see Define what Drive files your app can open. For more information about implementing this functionality for your application, see Integrate with Drive UI "Open with" context menu and Integrate with Drive UI "New" button. While Drive can automatically generate thumbnails and index most popular file formats for search, proprietary formats are covered too. Your app can provide a custom thumbnail and extracted text to index when it creates or saves a file. For more information, see the file metadata guide.